Paris is the city of love by definition, but it’s also one of the best cities in Europe to eat: like any big city, Paris is home to a diversity of cuisines and styles. But the offer is massive and you can really get lost when trying to decide where to go. To help you choose, we gathered here some of our top places to eat in the City of Lights, the places we go and never get tired of. Don’t expect just French food in the recommendations, but if you love bread, pastries and anything brunch related, keep reading. Claus. If you’re a brunch enthusiast like I am, you need to go to Claus. They offer four brunch menus, and the hardest thing is to choose one. With every one of them you’ll get a beverage, a coffee or a hot chocolate, and three dishes. They are on the pricier side, but it’s so worth it, you’ll leave full, and it really serves as a breakfast + lunch. 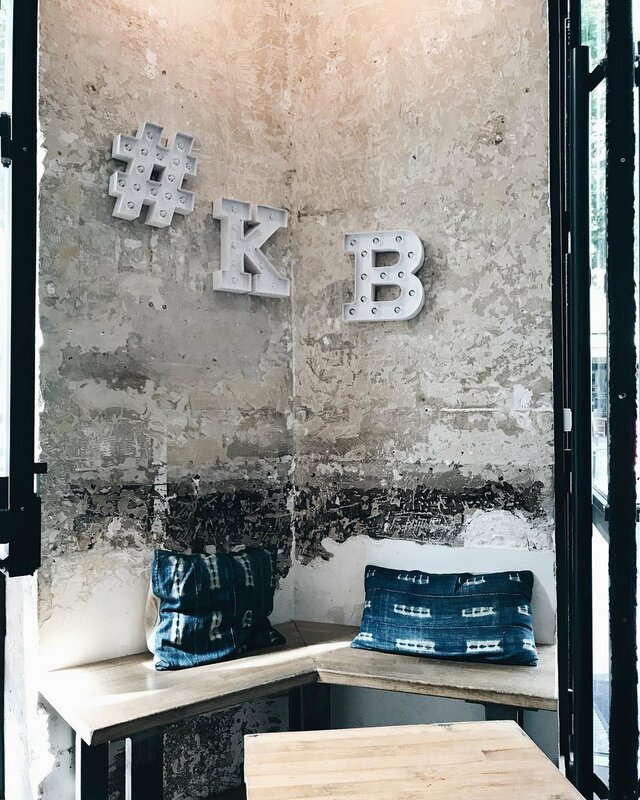 Plus, the place is very pretty and the décor has that minimalistic feeling that will make you take pictures of everything. But don’t be as naïve as I was: make a reservation beforehand or you’ll have to wait outside! Le Minipalais. It’s no accident that Chanel or Jean Paul Gaultier have chosen the Minipalais to host several of their yearly parties: it’s located in the Petit Palais, next to the iconic Grand Palais, near the Seine and with the most gorgeous terrace in all Paris. In the winter you won’t be able to seat outside (think -4 ºC), but don’t hesitate on going. The food is excellent, the bread is to die for, and the best part? They’re open from 10 AM to 2 AM non-stop. Season. 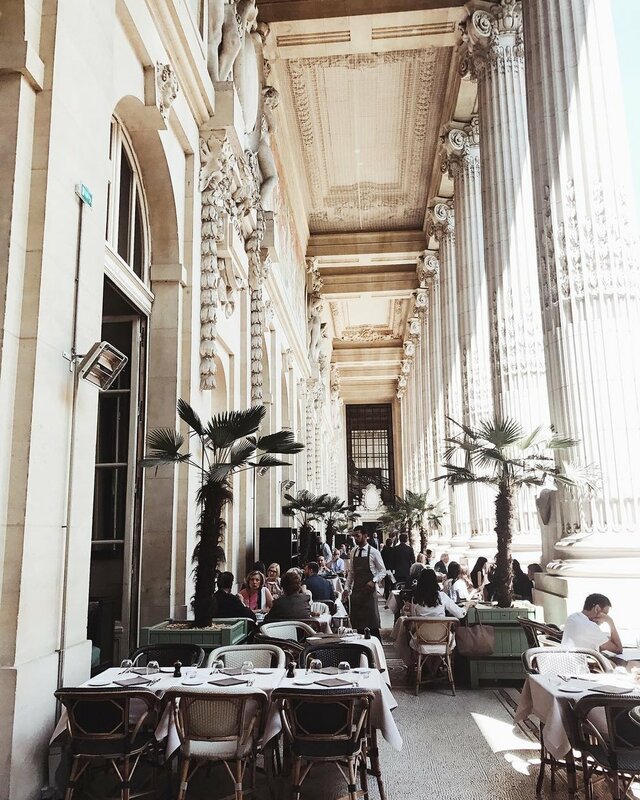 They say Season is the best place to brunch in Paris. We’re not sure about that but we can surely say is one of the most raved about by bloggers and one of the coolest places in the city. It’s located in Le Marais, with its outstanding buildings and beautiful squares, the quintessential neighborhood in Paris, and has big windows and a stunning interior that will make you want to stay there all day. The only downside? You’ll have to wait for a while because it’s always very very full. The food makes up for it though: try their famous avocado toast with poché eggs and the pancakes (I’m talking syrup and crispy bacon on top). Brasserie Barbès. Open Instagram and search for this place. It’s located near Montmartre (and literally next to a métro station, which comes in handy), and it’s a gorgeous building with three floors and enormous windows, industrial vibes and interior plants hanging from the walls. They serve all kinds of French food, but we would definitely go for the sandwiches: they’re not expensive and very good, served with a side of fries and salad. Ask for a table in the third floor though: it’s the most beautiful.